This post is part of Our Growing Edge, a monthly blogging event to encourage us to try new food related things. Phuong from My Kitchen of Love is the host for this month’s event. If you have a blog and you are eating or cooking something new this month, click below to join. I’ve been obsessed with New Orleans since I was an angsty teenager. Long, long before I had any interest in food, I fell in love with the people, the French influence, the mystery and the vampires. I blame Anne Rice novels. I’ve yet to visit New Orleans but it is number 100 on my bucket list. When I “grew up” and my interest for food developed, my obsession with New Orleans deepened. 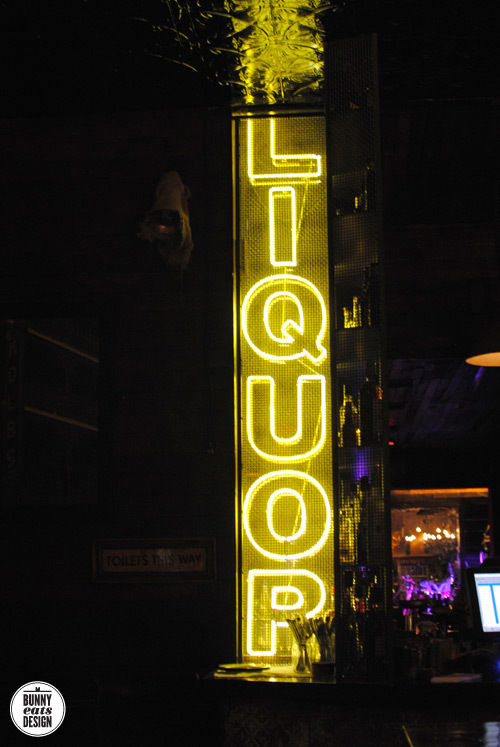 At the start of March, on Fat Tuesday (Mardi Gras celebration day in New Orleans) my friends and I converged on the newish Auckland restaurant, bar, speakeasy, smoky blues and jazz club called Orleans, in Britomart. Traditionally the day of debauchery before Lent starts, Fat Tuesday is all about living large with food, booze and boisterous carnival. Here in Auckland, Fat Tuesday is not celebrated, though the restaurant was surprisingly busy on this cool Tuesday night. Many “cool” places in Auckland now do not take bookings, and there was an hour wait for a table inside. On a Tuesday! This was soothed by an outside table where we ordered cocktails and snacks. An hour whizzes by when you have good company. I tried a Sazerac, a New Orleans whiskey cocktail served neat and made with tremendous care and flourish. The drink didn’t look like much but the effort involved warranted the $15 cost. One of those and I was on my way. 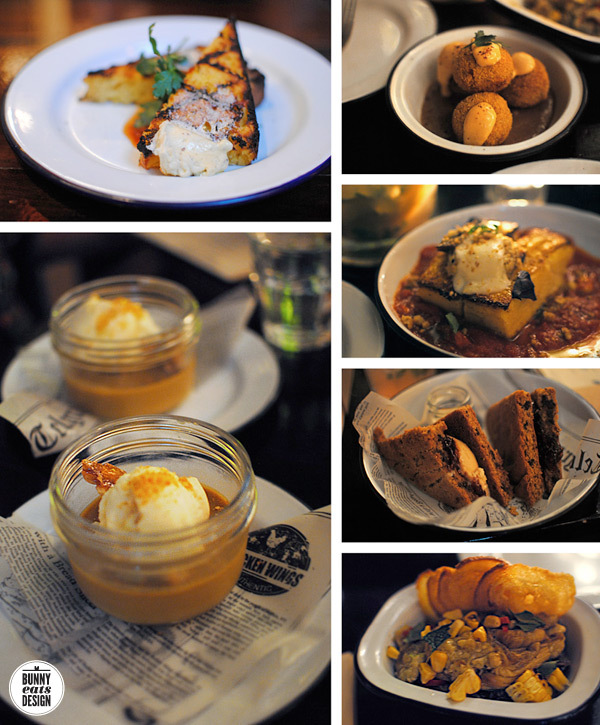 For dinner, we ordered a bunch of dishes to share and a dessert each (which we also shared). The one dish that resonated with me was their fig and blue cheese toast (not pictured). I’m not a fan of blue cheese so this really surprised me. Not a classic Orleans dish, this was one of the restaurant’s seasonal specials. I enjoyed the dish so much, I was moved to cook something inspired by it. 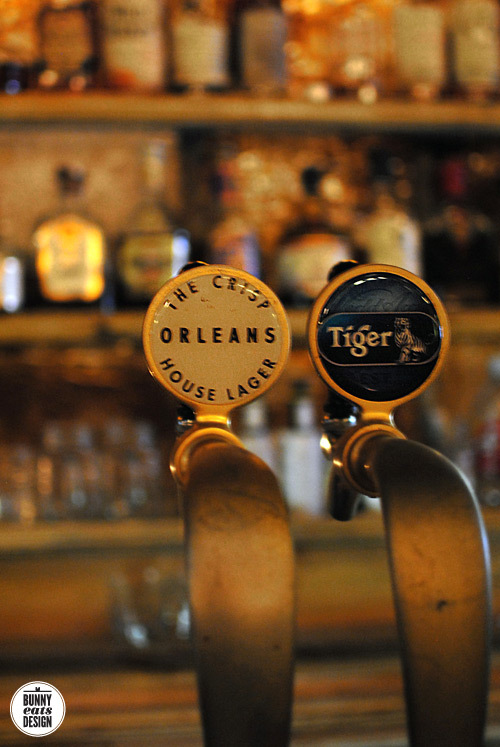 Read my full review of Orleans over on Zomato here. Stinky cheese festers on my growing edge. Blue cheese used to disgust me. Every time I meet blue cheese, I force myself to have a taste. I’m getting better. I don’t mind it now. I think it’s taken me a good 5 years to get to the point where I would actually buy blue cheese and do something with it. 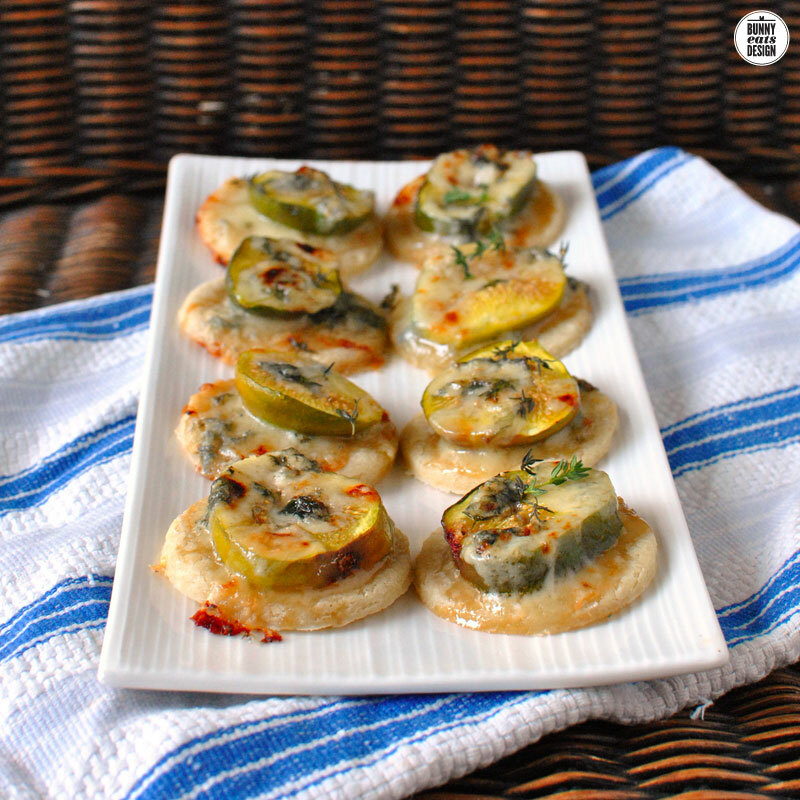 This vegetarian, gluten-free recipe is a great starter or party snack when you want to impress. You can make these ahead of time and save the last 2 steps prior to serving. If you have a cookie cutter, use that, but I don’t so I used a small cup to cut my rounds. Turn on oven to 180°C. In a bowl, combine all ingredients for the dough. Turn out onto a floured board and knead until smooth. This will never quite be as smooth and elastic as gluten dough, but it should hold together OK. Using a rolling pin, roll dough out to 5 mmm thick and cut out rounds using a 6 cm diameter (2 1/2 “) cookie cutter (or cup). Place rounds onto a floured baking tray and bake for 5 minutes. In the meantime, wash figs and slice off the stems. Cut each fit into 4 slices and set aside. Chop fresh thyme and crumble the gorgonzola into large chunks. Remove rounds from oven and top with a small drizzle of maple syrup, a slice of fig, gorgonzola crumbs and scatter with fresh thyme. Bake for 10 minutes until gorgonzola is melted and figs begin to caramelize. Drizzle with more maple syrup and serve warm. 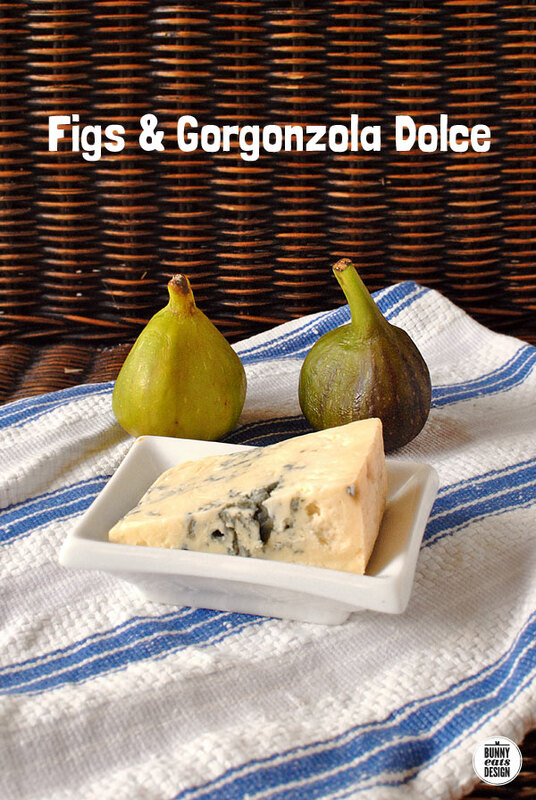 I’ve never cooked with fig, but these make me want to try it! Wow, I’m impressed that you’ve trained yourself to like blue cheese! I should probably push myself to do the same (I can’t stand eating wet, smelly cheese like blue cheese, goat, feta, etc) but they’re so ubiquitous. And people always give me a weird stare when I turn it down. 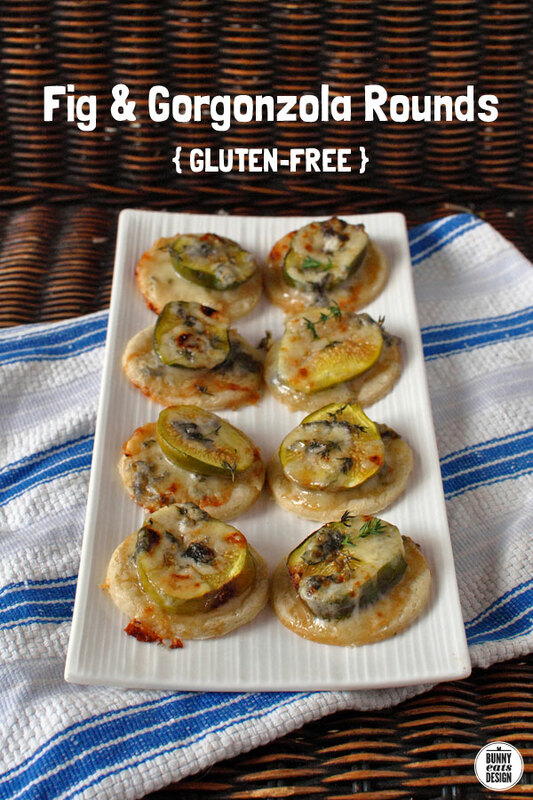 I love that you made gluten free base and I love anything with figs. This is a very elegant appetizer! Thank you! I feel the same way about goat cheese now too. I’ll eat it if it is around but very rarely choose to eat it. Feta I used to like but now do not like. I think I might have just had a few bad feta experiences that tainted my view. Oh yes, they would be a lovely book club nibble. I bet no one would even realise they are gluten-free. I adore blue cheese and especially paired with fruit. My favourite combination is with pear but fig sounds great too. We went to New Orleans about 10 years ago, such a cool place. Great food too. 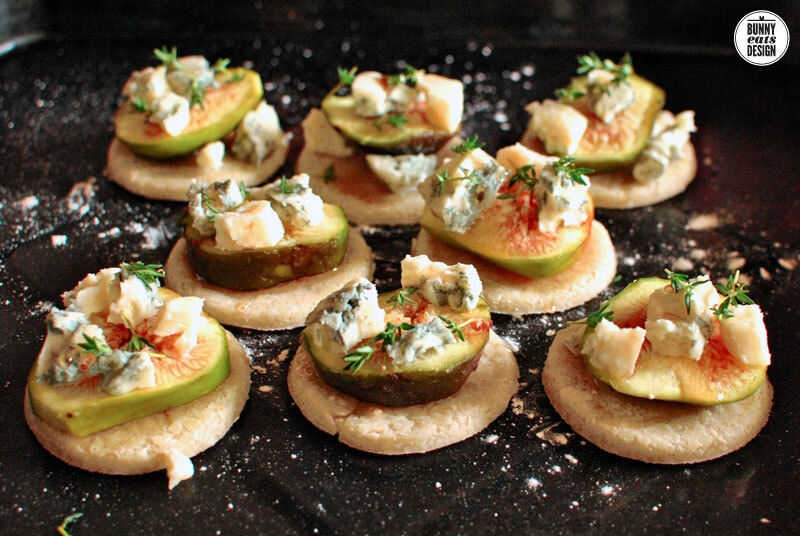 These fig rounds look and sound amazing, we adore blue cheese.